#9/10, Ground Floor, Prestige Towers, Residency Road, Bangalore - 560025, Karnataka, India. 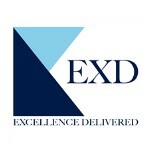 EXD is promoted by real estate professionals with over decades of collective experience in the areas of real estate development, finance and marketing. A process – driven company focused on meeting quality standards and customizing offerings to suit diverse needs, EXD is dedicated to complete projects on time, adhering to stringent quality benchmarks?? EXD projects are the result of location analysis, market analysis, market study and future growth trend analysis ensuring good profitability on investment to its clients.